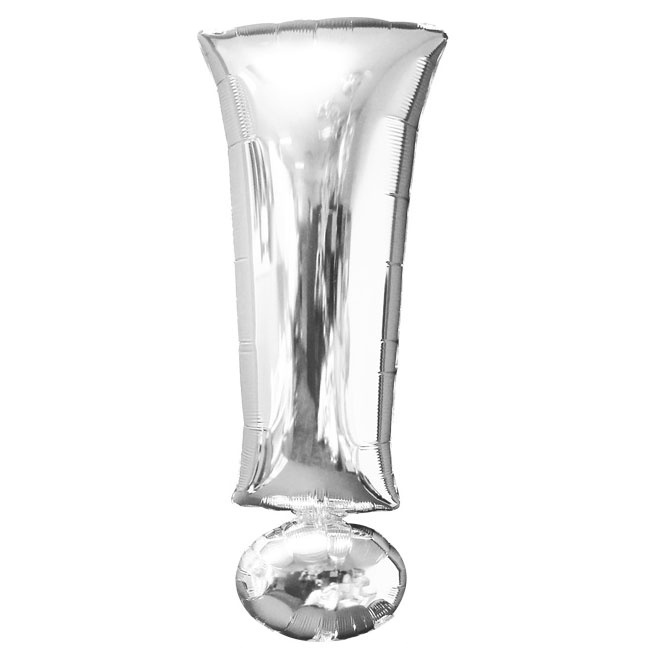 Customize your party decorations with a Silver Exclamtion Point Balloon! This silver foil balloon is shaped like the "!" symbol. Combine it with other letter and number balloons for a unique photo backdrop.